Original handmade pendant necklace. This item is the result of a long-lasting, highly precise artistic work. 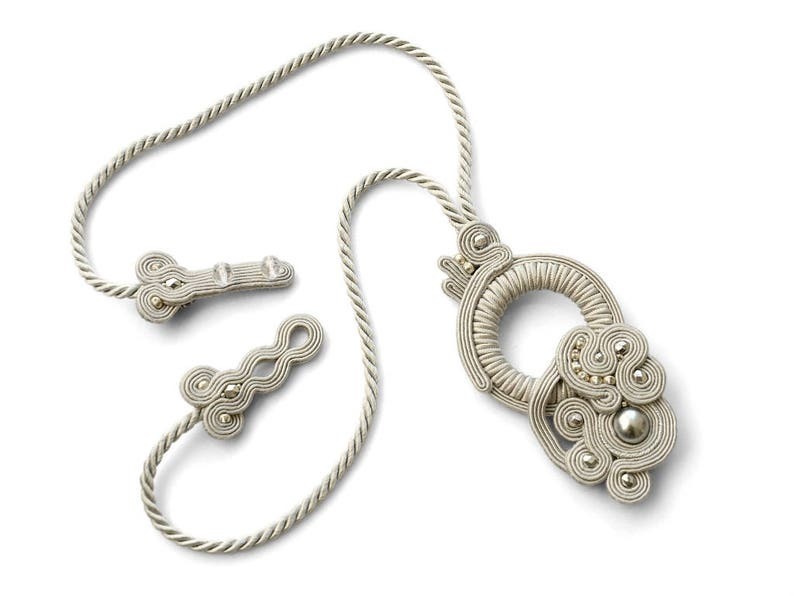 I made it from high-quality materials including Czech rayon soutache braid, Sea-Shell pearl and hematite. The pendant is light and comfortable to wear. It will be a gorgeous add-on to a casual outfit as well as to an evening dress. Jewerly gift box is included.